St. Louis has long been home to extremely loyal hockey and baseball fan bases. Blues’ fans have stuck around through some long term droughts and multiple lockouts. 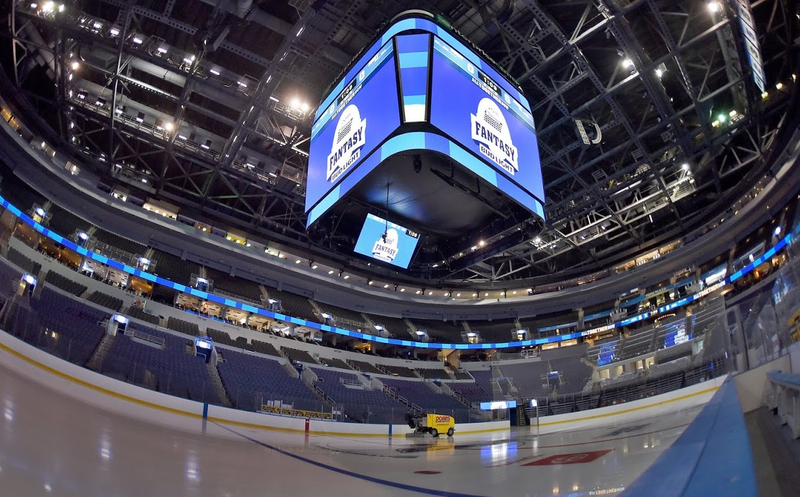 This has allowed the Blues home rink to be a very difficult arena for other teams to play in. Obviously this year the team has struggled and find themselves near the bottom of the league standings. Something about this season feels different though. Blues games do not feel as special these days. It feels like a ownership is moving in a new direction and it does not necessarily feel like it is in a direction that satisfies it’s fans. When it comes to on ice performance, the Blues are lacking. They do not have the drive that you see in most successful teams. Worse yet, management seems to be slow to respond to any problems that come up. We all saw how long it took for Armstrong to fire Head Coach Mike Yeo. It was frustrating, as a fan, to see management drag their feet to pull the trigger, but for all we knew, Armstrong was lining up a brand new head coach. Surely such a move would take some time and there would be a lot of financial talk that might delay the inevitable. Now, a week out from the firing, we know that there was no new coach added to the system. That leads me to wonder why Tom Stillman has such a loose leash on Doug Armstrong. We may never know but one thing is for sure, we cannot count on problems on ice to be taken care of in a timely manner and this could lead to more points being left on the table. A poor performing team will directly impact the fan attendance, but when you look at the numbers and then at the seats, something doesn’t match up. 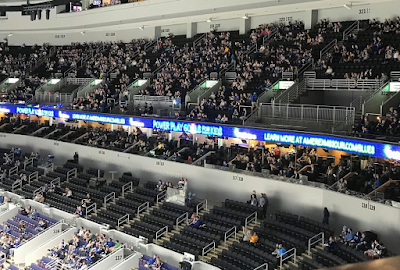 Part of what has made Enterprise Center a difficult and intimidating place over the years are the fans who filled the seats and cheered on their team through the best and worst of times. While ticket sales have gone down for sure, the number of empty seats are increasing at a disproportionate rate. I believe the reason for this is directly related to recent arena renovations that seem to be designed to get fans out of their seats and into the concourses to spend more money on food and beverages. I am sure management will insist that they are making more money this way, but at what cost? This leads to more empty seats in the arena and less support for our team. The building cannot be as loud as it once was when people are watching from new “gathering spaces” that are not within the seating bowl. Detroit built a new arena and cannot fill the seats. They are selling a lot of tickets but they have admitted that creating so many gathering spaces outside of the bowl has created a problem for creating a home team advantage inside the spectator area. It appears that the Blues are going down this same road without learning from the mistakes made in the Motor City. For those fans who are still filling the seats, the experience is not what it used to be. Several elements have been removed or changed that have made the game feel less unique and less ‘St. Louis’. Generic seems to be the ultimate goal. Gone are the days of the team colors on the walls and tunnels. Were they too outdated for these modern times? Perhaps, yes. However modern styles do still include color and perhaps the answer was not to remove ALL color from the arena bowl, but simply tone it down and modernize it. I would argue that most modern styles have an accent color against other neutral colors. They are in the process of replacing all of the purple/pink seats with black ones. I do not mind this change. It is a clean modern look. However, the lack of ANY non-neutral colors in the seating bowl has removed almost all home team visual elements aside from whatever images they splash on the video screens. The thought process behind this of course was to attract other non-hockey events. 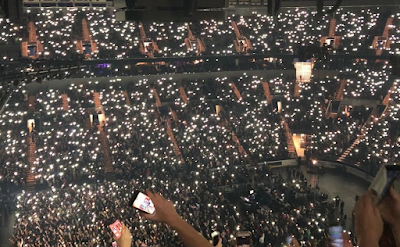 I cannot say that there isn’t some merit to this, however from most concert and entertainment event’s I have seen, the lights are usually dim and the color of the bowl is hardly going to be a deal breaker to event organizers. Even if it were, there is no reason we couldn’t still have SOME blue in the room. What used to be a highly recognizable arena bowl now looks more like a very average, generic looking building. It’s not just the visual aspects of the arena that have taken away from the Blues vibe, but how about the audio and overall entertainment. The whole package feels unoriginal and not at all tailored to Blue’s fans. Not to those fans who fill the building night after night, or those die-hards who spend money on merchandise, but more for those casual fans who may or may not ever attend another hockey game in their life. There are awkward silences at times, and at other times it feels like they are trying to awkwardly squeeze in as many songs and sound effects within a short window. The organ rarely plays anymore. Gone are most of the crowd pumps, clap-alongs and traditional hockey tunes it once played. It has mostly been replaced by songs you could find on Spotify. Even the goal song is now rushed so they can get to the new Urge goal song. Finally, the iconic sound of the Blues goal horn which seems to be more of an out of tune, rattling sound these days. After several seasons, I had hoped that they would do something to fix this so the sound of every Blues goal would be crisp and as strong as ever. When sitting on one end of the arena, I actually wish they would use the horn less due to its horrible sound. The other end seems ok. It feels like anything that could be considered a tradition of the Blues is at risk of being reduced or even removed from the game entirely, and they seem intent on finding more ways to distract fans from the on ice performance, rather than improving the team and getting fans in the seats to cheer them on. I want to get excited to go see something that I could not go anywhere else and see. I want to hear what I cannot hear on my phone. I am not against change, but I would like for changes to be thoughtful. Will this make enhance the Blue's experience or is this just something we see other teams doing? This is not just another hockey team, this is not just another hockey arena, and we are not just another hockey fan base. We are the St. Louis Blues. It should be embraced, celebrated, cherished, and respected.